Jason George: CEO; Telescope, Inc. In a world where the customer is constantly connected to social networks, understanding that space and the tools that help drive support, engagement, leads, demand, brand awareness, and more is imperative. Choosing the right SMM tools and tactics, therefore, is a ‘must do,’ not a ‘nice to have’ or something that can be ignored in favor of other marketing channels. 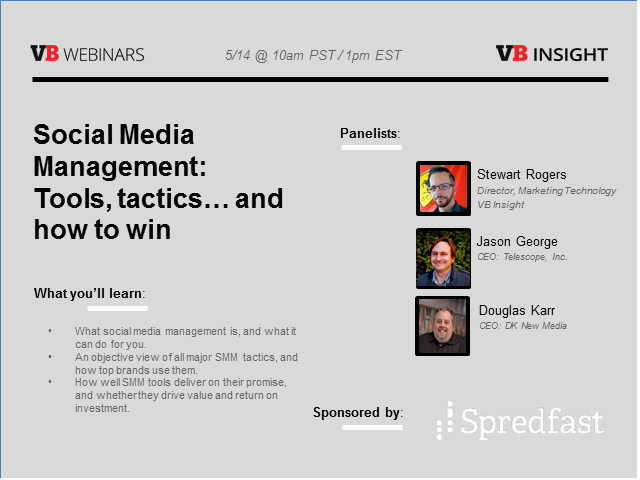 Join us to find out how to leverage social media management tools, and which tools are tailored to your social media needs.